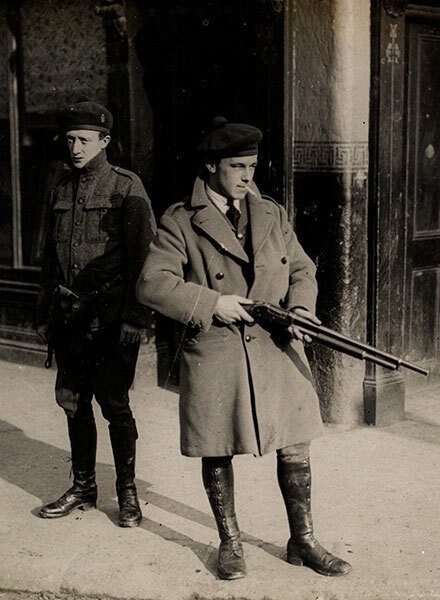 The 21st November 1920 came to be known as Bloody Sunday when 41 people were killed in incidents across Ireland. It was one of the most notorious events of the War of Independence and showed the increasing savagery of the fighting. 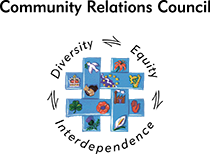 Michael Collins organised an Irish Republican Army (IRA) attack on suspected British agents working and living in Dublin. Thirteen alleged agents and two civilians were killed. Later that afternoon, Black and Tans of the Royal Irish Constabulary (RIC), supported by members of the Auxiliary Division, opened fire on the crowd at a Gaelic football match in Croke Park, killing 14 civilians. That evening in Dublin Castle, three IRA suspects were shot by their captors, allegedly while trying to escape and one Auxiliary died of a self inflicted wound. During the day a further three RIC men were shot by the IRA in counties Cork, Down and Waterford and four civilians were shot by crown forces in counties Dublin, Mayo and Meath. In addition, a soldier died in unexplained circumstances. 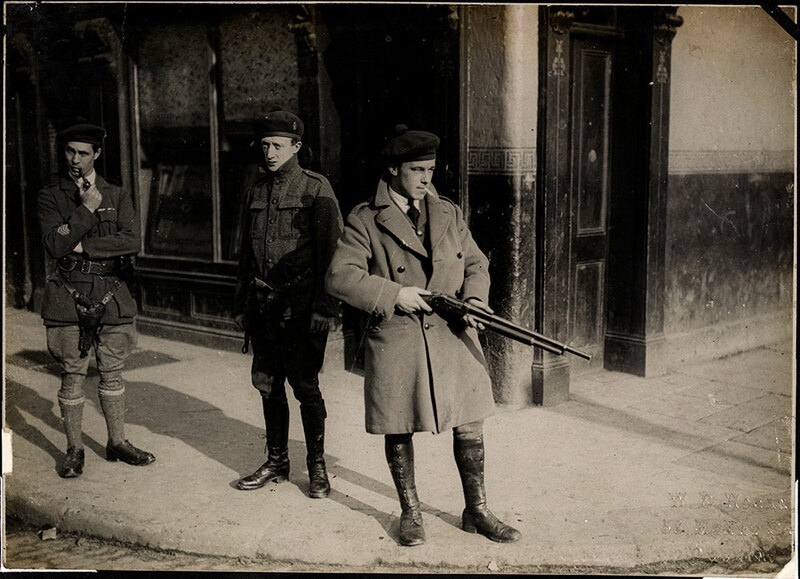 Three Black and Tans on patrol in Dublin.